If you happen to be in one of these five cities across the United States and Canada, you're in luck. In addition to gourmet dining, we've got our eye on some of the most romantic places to take your loved one for a feast of the senses this February 14th. Get your taste buds ready. Valentine's Day is right around the corner, and this year restaurateurs are gearing up to put on a great show. 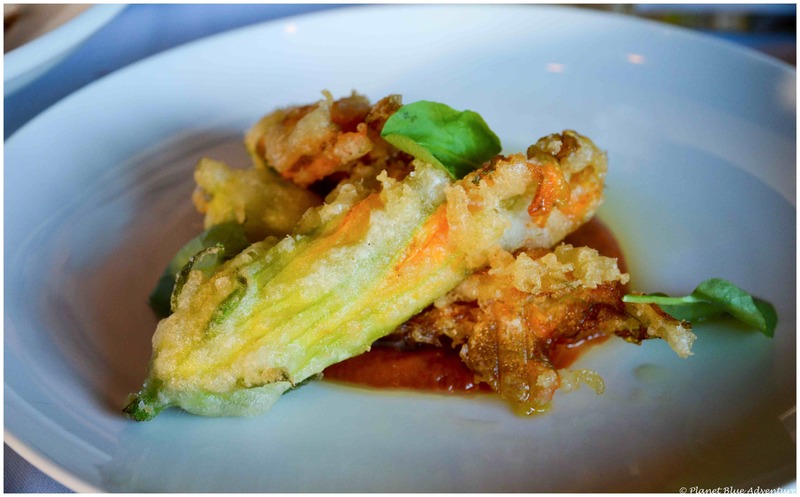 Combining locally grown produce with artisan-produced delicacies, restaurants across North America are mixing quality with creativity and the result is simply delicious. According to New York spirits writer Georgette Moyer, Zenkichi Japanese is the most romantic restaurant in Williamsburg. Ensconced in large private booths, enjoy traditional Japanese small plates and Sake in the utmost privacy. Summon your wait staff with the push of a button. Come Valentine's Day, The River Café will also be packed with Brooklyn locals. Located at One Water Street, the innovative menu here features classics like Steak Tartare and Sea Bass along with unique combinations like Tuna Foie and Mushroom Wellington. Ranked among the Top Five Most Romantic Dining Cities in the United States by reservations management company Open Table, Columbus Ohio has officially arrived on America's dining scene. Combining metropolitan, chic menus with authentic, Middle American charm, in Columbus romance experts Ivy Bridal Studios has come up with their own list of romantic restaurants and haute cuisine favorites. Barcelona Restaurant and Bar, located in a well-preserved historic space adorned with paintings from local artists, serves up flavorful bites in the traditional style of Spanish cooking. Expect everything from Fritas to Fabada Asturiana (Spanish White Bean Stew) and save room for sweets like Hot Pot de Crème. Don't miss their lush "Secret Garden" patio during the summer months. Expect plenty of bold flavors and strong drinks when dining around Louisville. 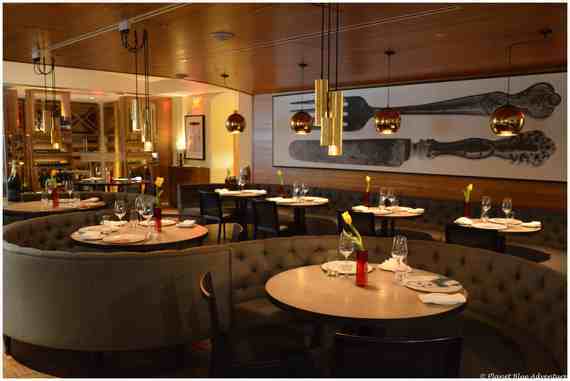 Chefs like Michael Paley at Proof On Main show no fear of bold textures and rustic flavors. The Octopus Bagna Cauda and Roasted Bison Marrow Bones at Proof are great examples of the rich Louisville flavors happening around town. 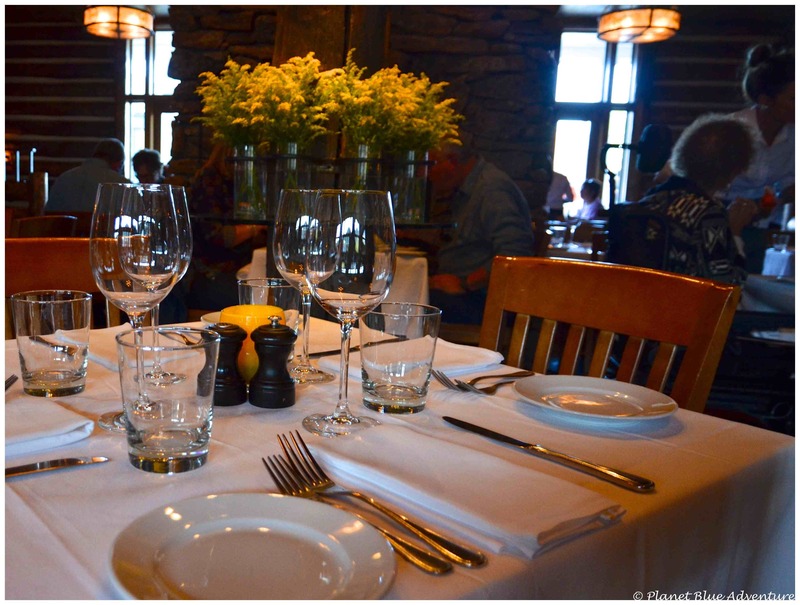 Draped with white tablecloths and heavy silverware, The Oakroom is a safe bet if romance is what you're looking for. Located within the Seelbach hotel, this AAA Five Diamond restaurant serves exotic tastes such as Kobe Short Rib with grilled peach and red dandelion and Australian Ostrich Tartare with thyme pancake and mustard-seed marshmallow. For a special Valentines Day treat, arrange ahead of time for a tour of the restaurant's century-old wine cellar. With plenty of glitzy, crowded places to dine around the greater Miami area, it can be challenging to find intimate, romantic restaurants here. But secluded behind a dense hedge that surrounds a 1925-era palazzo in the heart of South Beach, Casa Tua is an ideal dining destination for Valentine's Day. It's not surprising that their private, second-level lounge is popular with celebrities and socialites. 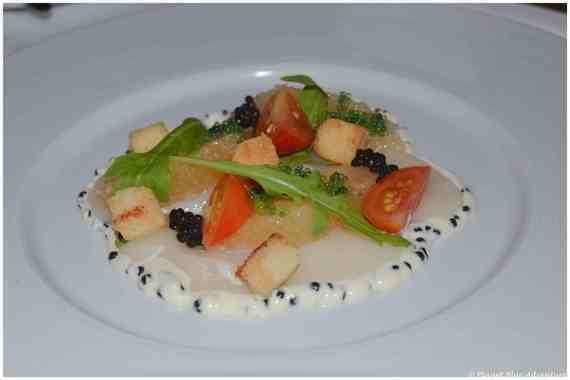 Enjoy things like beef Carpacciom crudo and scallops at this upscale Italian restaurant. Don't miss this lush garden terrace tucked away from the South Beach scene. The Villa by Barton G is also a romantic dining option in Miami. This opulent restaurant, complete with mosaic-tiled rooms, fountains, and a lush courtyard, is the definition of luxury. You won't be disappointed when ordering the $75 chef's tasting menu, includes snapper ceviche, a duck confit crêpe, rack of lamb, and key lime specialty for dessert. Quebec City's sidewalk cafes, bistros and chic restaurants might just leave you thinking you're in Europe, not Canada. Featuring plenty of traditional French dishes like foie gras, escargot and of course crepes, Quebec's culinary community is thriving. 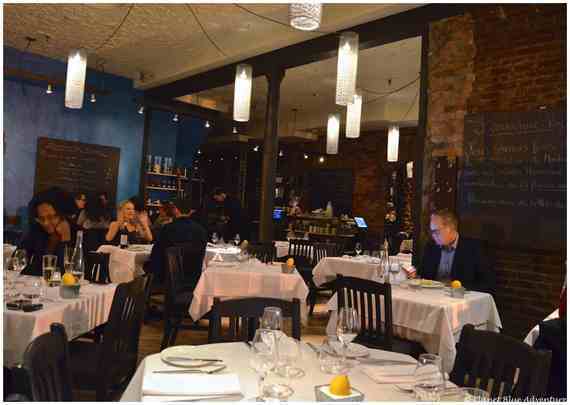 The Restaurant la Cremaillere embodies Quebec's historic charm. This romantic restaurant features everything from Italian pasta to exquisite, locally-produced veal and beef dishes. Cremaillere's wine list is also one of the best in town. Le Saint Amour is another great option for Valentine's Day wining and dining. 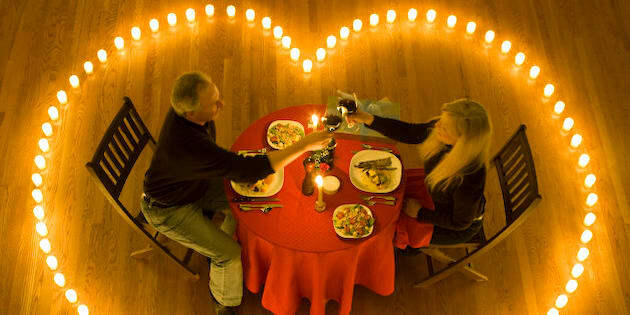 Their special Valentine's menu features a seven-course meal for $160 per person. Featuring delicacies like winter-truffle foie gras, scallop Carpaccio and quail egg, you won't leave disappointed. Restaurant Toast, one of the newest restaurants on Quebec's scene, is the perfect spot for a romantic celebration. 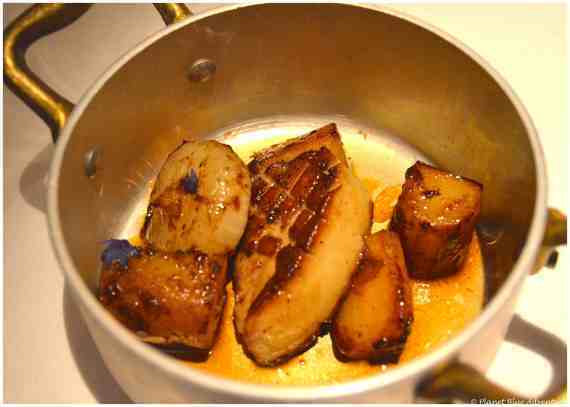 Diners love this restaurant's fun tasting menu, including foie gras, fondue and a variety of innovate cheese dishes. Ask to be seated in the center, outdoor courtyard if the weather is suitable (it's heated in the winter) for the most romantic experience.